Britain based major motorbike manufacturer, Triumph is getting ready to enter in the Indian motorcycle market and all set to launched new bikes in India by next year. According to some news sources, it is speculated that Triumph Motorcycle is expected to launch super sports bikes soon in India that includes Triumph America, Triumph Speed triple and Triumph Speedmaster. However, the company has not yet officially announced the launch of new bikes in India. 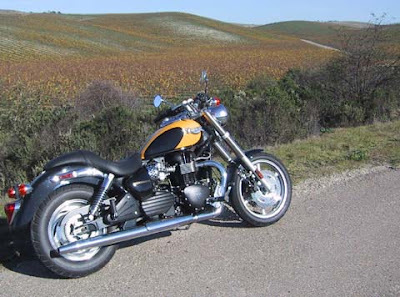 The company has produced world wide variants in the class of Touring Bikes, Roadsters, Cruisers, Classic Bikes, Super Sports and Adventure Bikes. 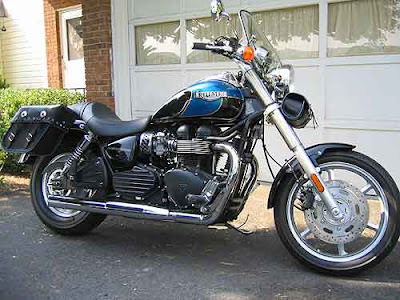 Triumph bikes will be developed in Indian and imported in the from of some CKD kits. The company hopes to get positive response from the Indian buyers. Triumph Motors will collaborate with India's major auto manufacturers to manage sales and assembly across the country. With the launch of new bikes, Triumph might get tough competition with the country's some major super bike manufacturers like Suzuki, Honda, Yamaha and more. On the other hand, BMW is also all set to debut in the Indian market along with wide range of new bikes. After the successful launch of Suzuki sports motorcycle brands in the country. World's major super sports bike makers are looking forward to establish their strong position in the Indian auto market.